If you're unhappy with your ceramic tile, ripping it out isn't your only option. Did you ever consider painting it? 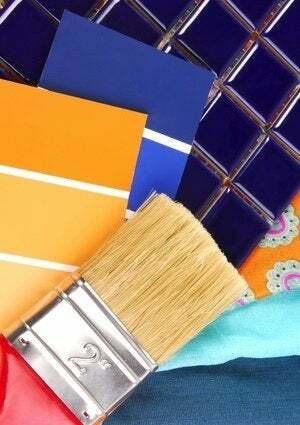 You are itching to redesign your kitchen or bathroom, but the color of your existing tile limits your options. Certainly, one possibility is to remove or replace the tile, but that’s an involved process, not to mention an expensive one. Another option—by comparison, a much easier and cheaper one—would be to paint the tile. Yes, it’s possible to paint ceramic tile! Follow the steps below to paint tile like a pro, and proceed with your kitchen or bathroom redesign, confident that any style is within reach. Here’s the catch: It’s not a good idea to paint tile in the immediate area of the sink or bathtub/shower, because the moisture may cause the paint to peel. 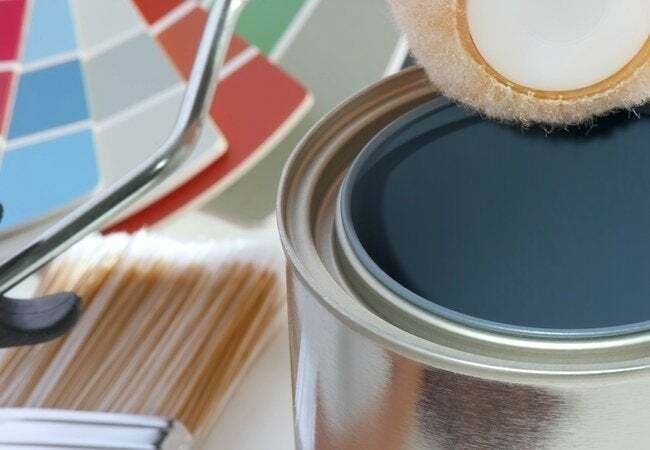 Focus your painting efforts on walls, floors, countertops—indeed, any tiled area that isn’t likely to come into contact with a great deal of water on a frequent basis. Also note that because painting tile requires the use of epoxy and other compounds that contain harmful chemicals, it’s essential to ventilate the room well and to wear proper protective gear. Before you begin in earnest, thoroughly clean the tile. First, sand it. Next, wash the tile with a store-bought cleaner formulated to kill mold, or with a mixture of one cup bleach and about a gallon of warm water. Allow the tiles to dry completely before you proceed any further in the project. Examine the tile. In order to look its best once painted, the tile should be free of imperfections. If you encounter any chips or cracks that you would like to repair, do so with a two-part epoxy. Mix the product according to manufacturer’s directions, then apply it carefully to the affected area, being careful to make your repair level with the surrounding tile. Having successfully readied the tile, move on to coat it with an application of epoxy bonding primer. You can use either a brush or roller, depending on the size of the area you are planning to paint. Resist the temptation to skip the primer; you really need it for the paint to adhere in a lasting way. Use painter’s tape in combination with a drop cloth or plastic sheeting to protect nearby surfaces from errant paint. Next, with a brush or roller, apply high-gloss or semi-gloss latex paint to the primed tile. If you find the paint isn’t spreading evenly, add a bit of paint thinner to the formulation. Once you’ve finished painting, wait for the tile to dry completely. In some cases, drying can take as long as several days. Finally, apply two or three thin coats of clear, water-based urethane sealer to the newly painted tile. During the process, let each coat dry before you apply the succeeding one. This, too, isn’t a step to skip, because the sealer can be expected to safeguard the tile against threats like scuffs, scratches, and moisture.